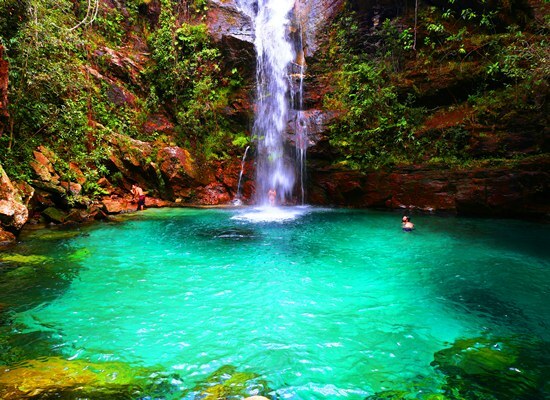 This trip will take you to a very special place in Brazil; the land of waterfalls. You will swim in clear natural pools and bask in nature. 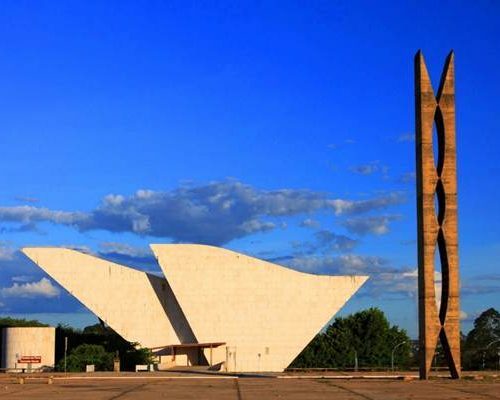 Being located close to Brasília, we also recommend that you also take in the architectural masterpieces of the capital. There is quite a lot of walking involved in this trip (you can set the pace), so a pair of good walking shoes is advisable. 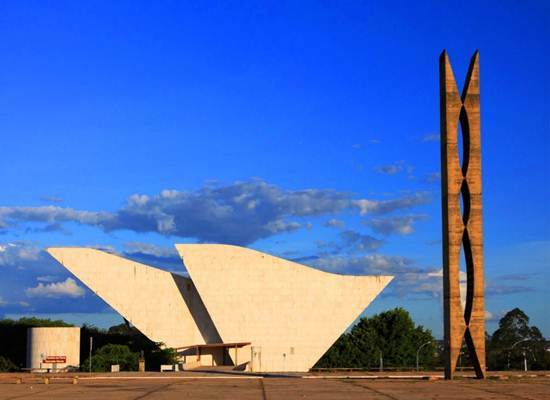 Today your flight will land in Brasília where you will be met at the airport and escorted to the hotel. 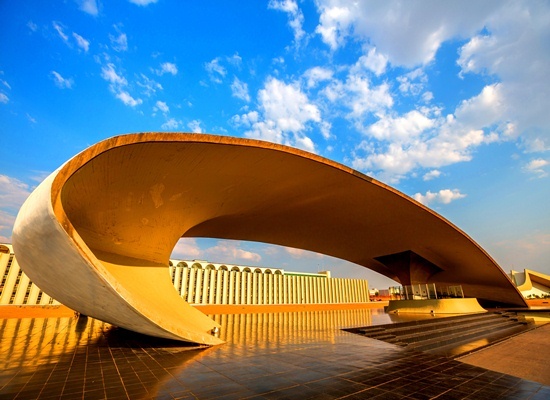 Brasília was designed in the 50´s by Oscar Niemeyer. It is one of the most modern capitals in the world, with unique infrastructure. 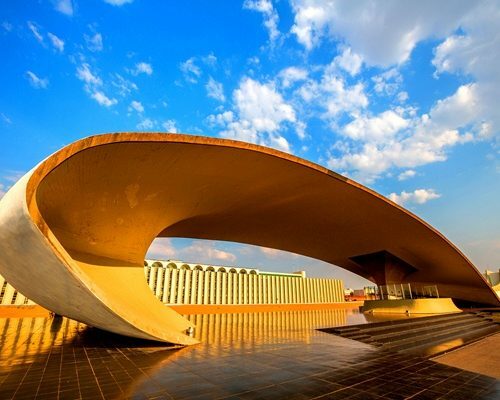 The city contains the highest concentration of Oscar Niemeyer’s creations and is a success story from an architectural point of view. After breakfast depart for a full day of architectural discovery, visiting the Republic Cultural Space, the Metropolitan Cathedral, the Ministries Square, the Itamaraty Palace, JK Bridge, Alvorada Palace and other sites. 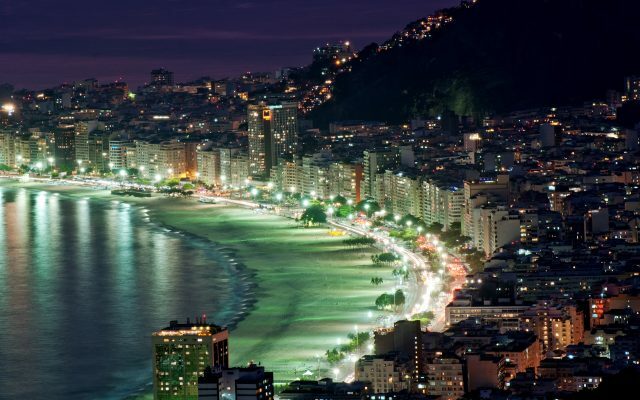 In comparison with a mostly colonial feel in the rest of Brazil – the capital stands out as an example of modernism and diversity. You can do the tour on traditional local bicycles, which is an enjoyable experience as the area is very flat. 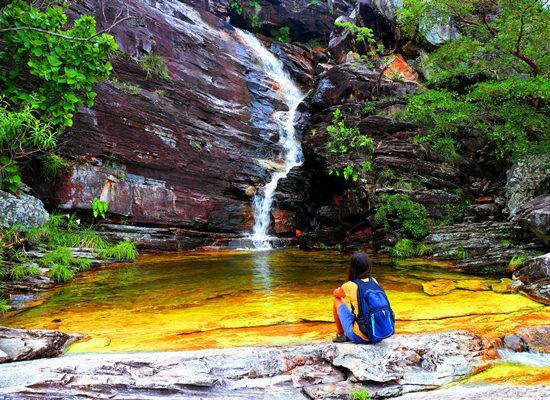 After breakfast you will be transferred to the National Park of Chapada dos Veadeiros. 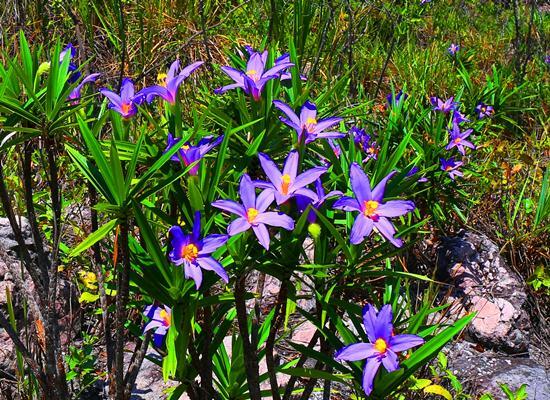 The park has abundant flora and fauna, numerous rivers and waterfalls and lots of crystals. 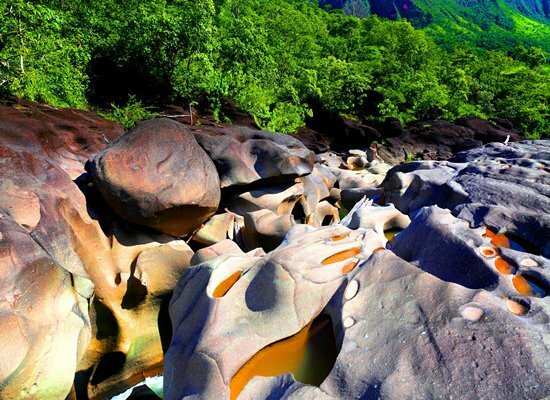 It is located on the oldest geological site in South America. According to NASA it is the most luminous point seen from the Earth’s orbit. 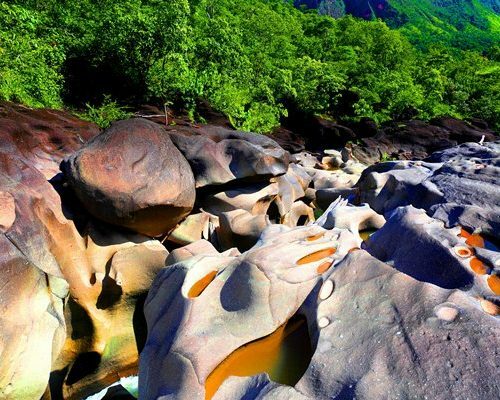 After check-in, take a tour to Vale da Lua, an extraordinary site of luna-like rocks, sculpted by river São Miguel. This morning head out on a hike in the national park. 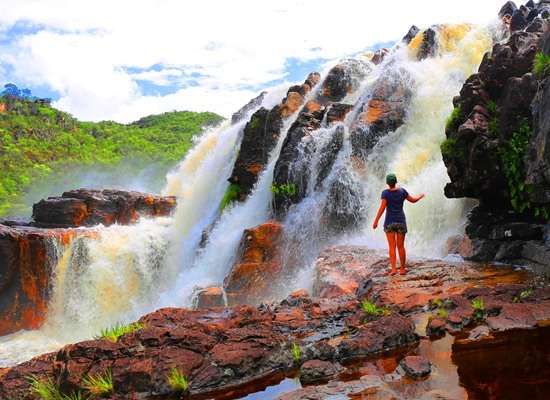 Today you will start with the trail with the spectacular gorges, called Canyon I & II, and the lovely Carioquinha Falls on the Rio Preto River. 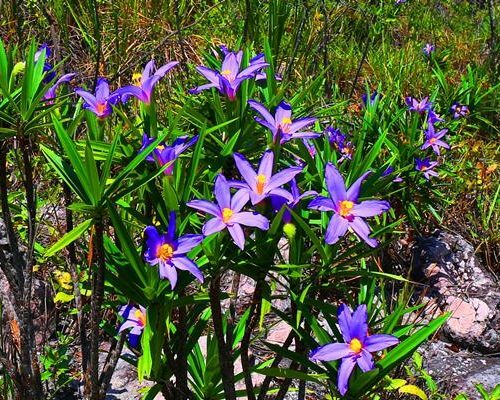 You will pass through a range of high-altitude cerrado fields with a distinctively beautiful flora and fauna. Stop for a picnic lunch in the park and then head back to the village to spend the day at leisure. After breakfast, head out to another spectacular hike in the park. The circuit follows an old miners’ trail passing by the quartz crystal mines that gave rise to the settlement of São Jorge. 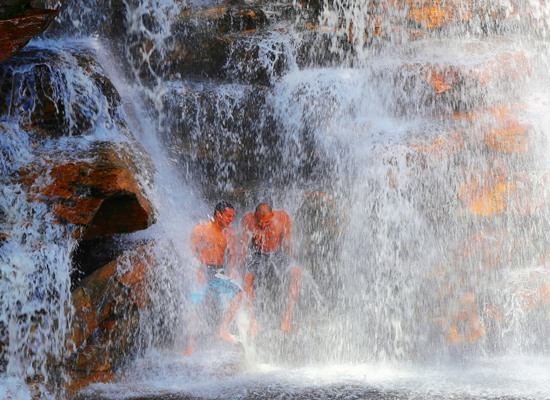 Stop for a swim beneath the Pedreiras waterfalls, the first one on this trail, and then continue onto a beautiful spot from where you can admire the Saltos waterfalls. Stop for a picnic lunch in the park before you return to the village. Remainder of the day is at leisure. 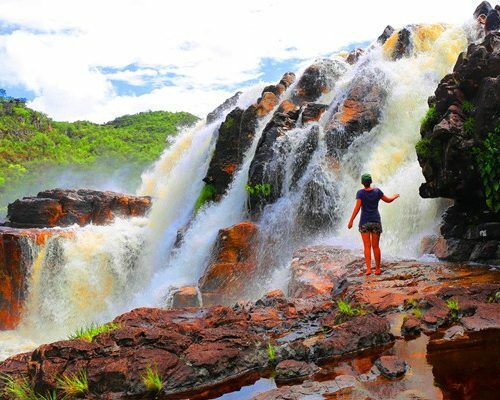 After breakfast you will be driven around 2 hours off-road to one of the most beautiful waterfalls in the area – Catarata dos Couros. Walk to the top of the canyon, where the river falls into several steps, forming waterfalls and pools. 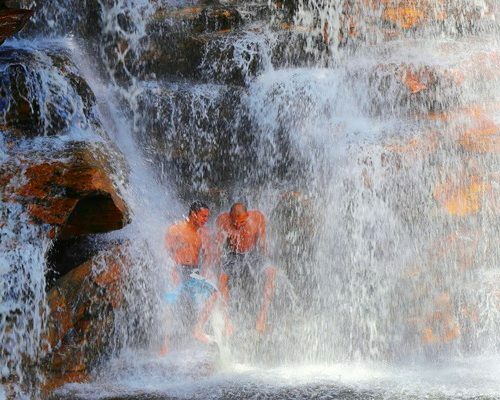 Descend to the middle of the falls for the best views and an opportunity to swim. After lunch return to Sao Jorge for a relaxing afternoon. Today you will take one of the most spectacular trails and here we recommend you have a local guide. 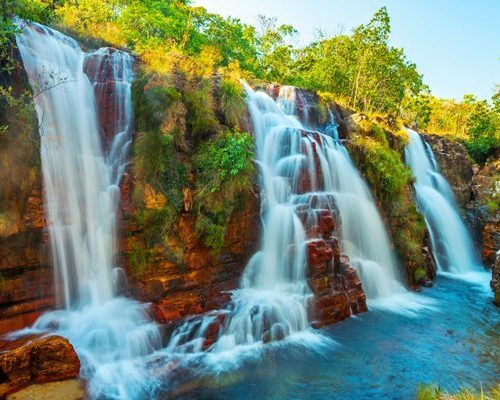 The trail starts just off the road to the national park and leads to Abismo – a place with another amazing waterfall and a 360° view over the cerrado plateau. 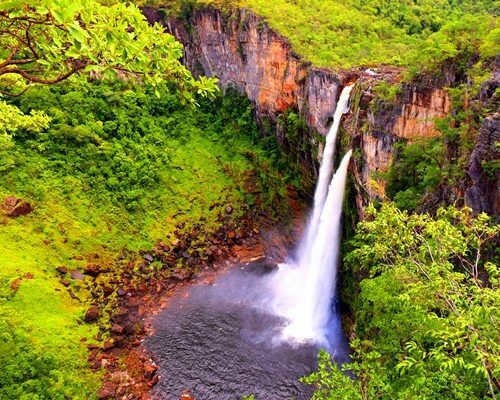 Continue to Mirante da Janela for a spectacular view over the Saltos Falls. Have a picnic lunch in the park and return to Sao Jorge for a relaxing rest of the day. 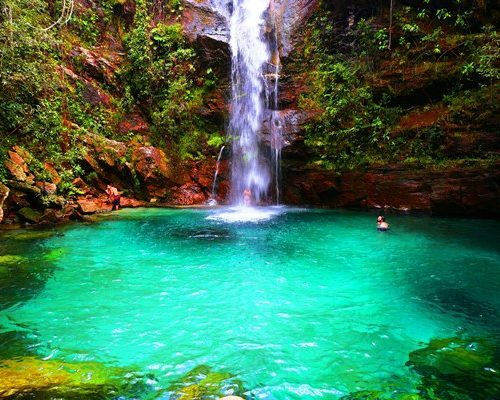 Today drive to Cavalcante and take a hike to Santa Bárbara – the most beautiful turquoise waterfall in the chapada. On the way back have a delicious lunch in Calunga. The community was recognised as a cultural heritage site and is sheltering three quilombola villages, separated by huge mountain ranges. 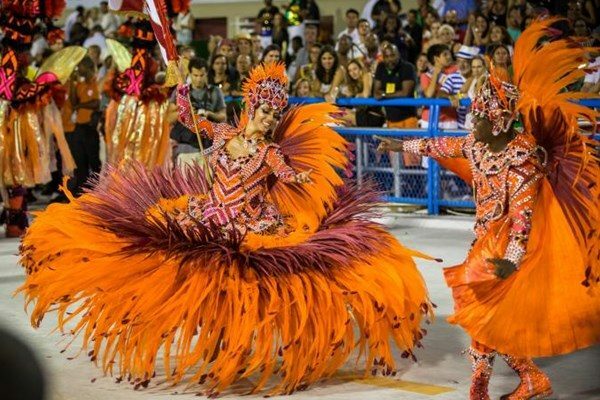 They pride themselves on keeping alive the ancient traditions of Afro-Brazilian culture. 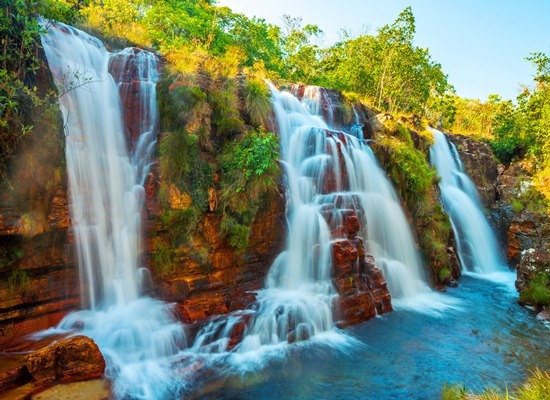 After breakfast visit the beautiful sites nearby Alto Paraíso – Cachoeira dos Cristais and Cachoeira Loquinhas. Although the area presents unique natural beauty, it is still off the tourist map, so you’ll avoid crowds and souvenirs. 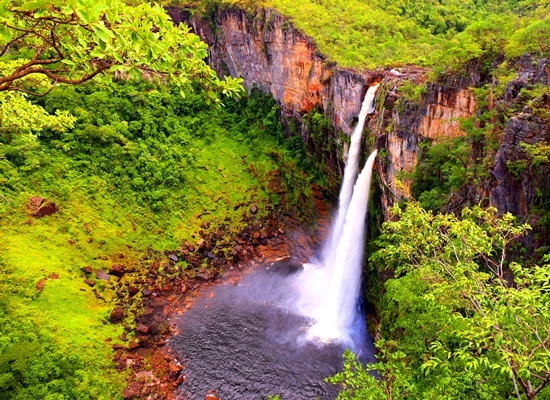 Most of the waterfalls are located on a private property and are well looked after. The sites are far from each other, but you will have a private driver to transport you. 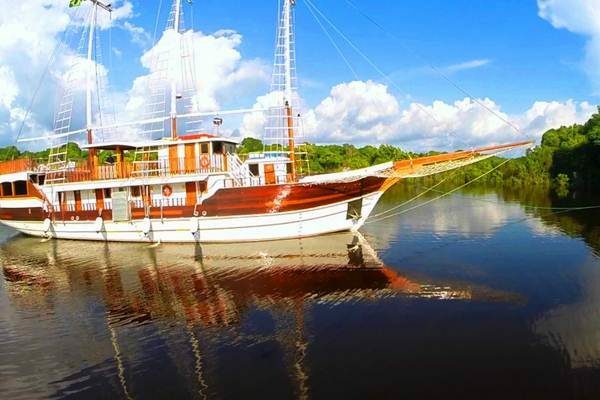 After breakfast you will be transferred back to Brasília to catch your flight home, or for onward travel. The departure time is flexible and you can plan your day accordingly. 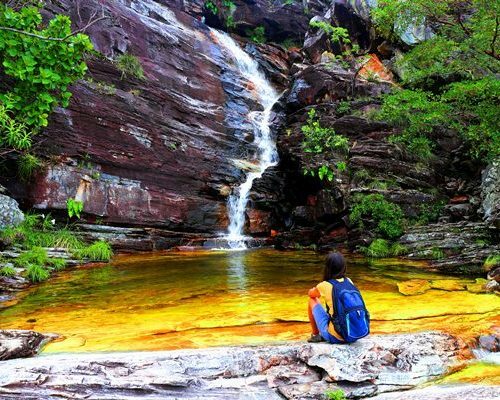 We recommend these sights in the park, although there are many more beautiful waterfalls and lakes in Chapada dos Veadeiros – you may even wish to extend your stay! The flights are not included. You can get all the flights from as little as £1000 per person return (depending on the connections and carrier) and do ask us for advice. Alternatively we can book the flights for you but a booking fee may apply.